SHORT FILM, End of the line, a story about 5 Ghosts on a train. Filmed At Manchester transport muse. : Playing Arthur the Ghost. Channel five prison drama, “ CLINK “ : Played a “ Journalist “ Filmed on , location in Liverpool. MOVIE / FILM , BATMAN Terror of Arkham. Played Auction atendent, lord huntsby. : Filmed on location in Manchester. Hollyoaks, Playing a Registrar for a wedding scene. 2 Days Filming. : Filmed at lime st Studios, Liverpool. BBC Drama " MOVING ON" Jimmy McGovern drama, Playing a security guard, : Filmed on location in Liverpool. Music video, Filmed on location in Manchester. BBC Drama Series , " City and the City " Based on the book, playing a Russian Security Cop, : Filmed entirely on location in Liverpool. BBC PRDUCTION, True Crime Stories, Playing A Convict on the run, Speaking part, filmed at : Media city Studios. FEATURE FILM / MOVIE , Surprise, filmed on location in Manchester : 3 part Horror trilogy, Playing a police officer IMDb credited. EMMERDALE ITV Prodution, filmed 2 separate Episodes, played a Auction customer. : Also a Hospital visitor, filmed at ITV Studios Leeds. FILM /MOVIE, " Surprise " a Triology " of Short Films made into a Movie, played a Forensic police : Officer, filmed on location in Lancashire. IMDb credited. 2 Days Filming. Music video, I’d i Black, filmed on location, : In Manchester. PEAKY BLINDERS , BBC Gangster Drama, Filmed on location in Liverpool. 2 : Days Filming. Playing a " Peaky blinder Gangster "
PEAKY BLINDERS , BBC Gangster Drama , : Filmed on location in Liverpool. 2 Days Filming. Playing a Peaky Blinder Gangster "
EMMERDALE I.T.V Studios Leeds, Filmed on location at Bradford crown court, Episode ( 4 ) : Filmed on location, 4 days filming. EMMERDALE I.T.V Studios Leeds, Filmed on location at Bradford crown court, : Episode ( 3 ) filmed on location for 4 days. EMMERDALE I.T.V. Studios leeds, filmed on location at Bradford crown court, Episode 2. : ( 2 )Filmed on location for 4 days. EMMERDALE I.T.V. Studios leeds. : Filmed on location at Bradford crown court, Episode (1). Filmed on location for 4 days. PORRIDGE, BBC SITCOM Comedy Series, Episode "6" 2Days filming in front of a live Audience, : Playing a prison officer, filmed at media city dock 10 studios. PORRIDGE , BBC Comedy sitcom series, Episode " 5 " 2days filming, : Playing a prison officer, filmed at Dock 10 Studio 's Media city, filmed in front of a live Audience. "PORRIDGE " BBC Comedy Sitcom Series , Episode "3" , Playing a Prison Officer, Filmed at Media City : Dock 10, Salford Manchester, 2 Days Filming. Filmed in Front of a live Audience.
" PORRIDGE " BBC Comedy Sitcom Series, Episode " 2 " Playing a Prison Officer, : Filmed at media city dock 10 Salford, Manchester, 2 Days Filming, filmed in front of a live audience.
" PORRIDGE " BBC Comedy Series, sitcom, Episode " 1 " Playing a Prison officer. : Filmed at media city studios dock 10 Salford , Manchester, 3days filming, filmed in front of a live Audience.
" JUDGE RINDER " ITV Production, True Crime drama played a Barrister, Speaking Part, : Filmed on location at Bolton crown court. CHANNEL 4 , Documentary/drama, " Hunting the KGB "true story playing detective White, speaking part, : Russian Spy docu/ drama, Filming on location in Manchester, " one week 5days filming. Feature film/movie Screwedover 2 , played a cameraman/journalist. Speaking part, : Filmed on location at Bolton prison/court. IMDB Credit. I.T.V Series EMMERDALE , playing " Harry " the Farmer, Bonfire night Special. : Filmed on location at Home Farm Emmerdale Leeds. BBC, Agatha Christie Crime Drama, WITNESS FOR THE PROSECUTION , : IMDB Credited, " Speaking part, " newspaper seller, filmed on location in Liverpool. TV COMMERCIAL ,for MAN UTD, "Adidas" " speaking part" : Filmed on location at the Stadium , Manchester. CBBC Children's BBC Comedy, " CLASS DISMISSED " played a history teacher, : Filmed on location at Hazel Grove High School, Manchester. I.T.V Drama Series "COLD FEET " : Playing a prison officer, filmed on location at Lancaster prison. ITV Drama " EMMERDALE " playing a Southampton dingle filmed .on location at ITV Emmerdale village : " Speaking part, " Episode 2.
" PORRIDGE " BBC Sitcom Series, pilot for TV, : Filmed in front of a live audience , Playing a prison guard, IMDb credited, filmed at BBC Studios Media City, Manchester.
" ARE YOU BEING SERVED " BBC Sitcom Series : Filmed in front of a live audience, Playing a deerstalker customer, filmed at the BBC studios media city manchester.
" PORRIDGE " BBC Sitcom pilot episode. 2 days of filming trailer : Playing a prison guard. Filmed at media city studios manchester . FEATURE FILM / MOVIE , "Bikini Blue" period drama set in the 1950s . : Playing a gentlemen, " a polish Prodution. " Film on location in England. Imdb credited. CH4, NO OFFENCE Crime drama Comedy, played a dodgy window cleaner. Filmed on location in Manchester. BBC Crime Drama, " OUR GIRL" playing a press photographer, : Filmed on location in Manchester. FEATURE FILM / MOVIE, : " Mad to be Normal " period drama set in the 1960s , Playing a doctor on a train, filmed on location in North Yorkshire. Documentary Film " we are suffragist " for the British museum , : Angry husband , "speaking part" filmed on location in the rossendale valley, IMDb credit. T.V COMMERCIAL , Bookings . Com : Football , filmed on location at Blackpool football club. I.T.V series EMMERDALE , : Playing a hotel guest, filmed at I.T.V studios Leeds. Yorkshire. "FILM / MOVIE" "EAST MAN" Speaking Part, : Playing a detective investigater. Filmed on location in Manchester. BBC Crime Drama, : Happy Valley, Playing a detective, filmed on location in Manchester and Yorkshire. T.V mini Series, : Boys in the Band. Playing mike, Speaking part. Filmed on location in Manchester. Music video, filmed in Manchester : Filmed in a music studio Manchester. "I.T.V Crime Drama Prey 2 : Playing Detective Peter Shaw. Filmed on location in Manchester. Filming/Advert/Commercial, at Manchester United, Old Trafford Manchester. : Journalist. HOLLYOAKS , Episode 4 : played a prison guard, filmed at lime studios Liverpool. TV Mini Series, Boys in the Band. : Speaking part, playing Mike. Film/ Advert/Commercial : Racecourse commercial for race owners/buyers. Filmed on location at Doncaster racecourse, Yorkshire. ITV crime drama, PREY, : playing Detective Peter Shaw. ITV Emmerdale , Episode 3 : playing a Fireman, filmed at the emmerdale village North Yorkshire. ITV Crime Drama, Prey 2 : Playing Detective Peter Shaw. DRAMA CLASS,S. : DAVID RODENT. Emmerdale : playing a business man, filmed on location in Harrogate North Yorkshire. ITV Prey, 2 , Crime Drama, 3 part mini series. : playind detective. Peter shaw. I.T.V Crime Drama, Prey 2. 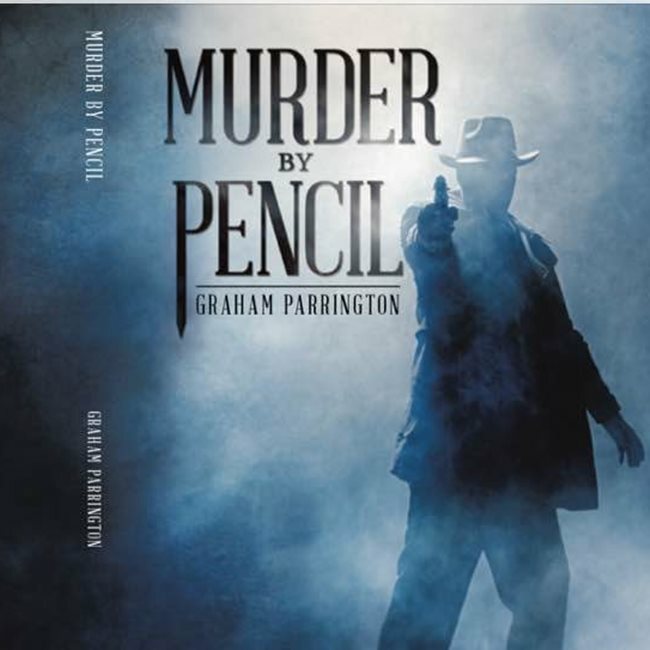 Episode 3 : Playing a detective, Peter shaw, Speaking part. Filming "Photo Shoot" : Filming "Old Trafford" Man Utd. I.T.V Prey 2, Episode 3 : Crime Drama, playing a Detective Peter shaw, Speaking part. Short Film, : " The Door " Victorian Drama, Playing a Judge. Feature fim, " Screwed Over 2. : IMDB playing a Journalist. I.T.V Crime drama "PREY 2" : Eposode 2. Playing a Detective Peter shaw, Speaking part. I.T.V Crime Drama, : "PREY" 2 Eposode 1. Playing a Detective Peter shaw, Speaking part. Feature film/movie, " La Corrispondenza " " The Correspondence" : " Italian / Brittish/ American Prodution, " IMDB credited. Feature Film, your a dead ringer too : "Voice over "
"Feature film/Movie Feature film. "Womble" : Playing a Homeless man. IMDB credited, speaking part. Emmerdale, I.T.V studios Leeds. Episode 2. : Business man, filmed at the Robin Hood Airport Yorkshire. Feature Film." A Gangsters Story " IMDB credited : Speaking part. Playing a Gangster "Frank Delaney. Filmed on location in Blackpool. Filming/ Music video. : Playing a Policeman , Filmed in a Manchester T.V Studio. Filming Game Show, Speaking role, : Filmed at media city Manchester. Pilot for a new show. Coronation St, filmed at ITV studios. Salford. : Played a installation man. Filming for Coca Cola Advert, : Playing a security doorman. A commercial to be televised in U.S.A.
Stock film footage filming. Filmed in Bolton. : Care home scenes, & political voting scenes. HOLLYOAKS Episode 3 : played a prison Guard. Filmed at lime studios Liverpool. HOLLYOAKS , Episode 2 : played a prison guard. Filmed at lime studios Liverpool. The Driver. TV mini series, Episode 2 : playing a cheese taser. Feature Film/Movie, : Back to forward, Playing a Detective . Filmed on location in Lancashire. Ch4 HOLLYOAKS , Episode 1 : played prison guard , filmed at lime studios Liverpool. BBC Comedy Drama, : "Ordinary Lies" Played a pub regular. Feature Film/movie, "HUNTERS PRAYER" : . HOLLYWOOD Production.Played dinner guest. Filmed on location in North Yorkshire. BBC Comedy, House of Fools. : Filmed in front of 300 people, a live audience. I.T.V Drama PREY 1, TV Mini Series : playing detective, filmed on location in Manchester. Film/movie. : Screwed Over. Reporter, (Speaking Role) IMDB credited. I.T,V Emmerdale, Christmas special. Filmed at : I.T.V Studios. Truckers Christmas party, Played a Drunken Trucker. "I.T.V DRAMA CILLA,". I.T.V Biopic, Playing a New York Doorman. : TV 3 part Film. TV movie/ Film. Filmed on location in Liverpool. CH4 Hollyoaks, : Boxing Referee, "Speaking Part" filmed on location in Liverpool. BBC1 comedy, : Citizen Khan. Filmed in front of a live audience. CH4 Cucumber TV series, filmed on location, Drama,played : ESP 3 Played a doorman. Film, court drama, : For stock footage. For U.S.A Television & Great Britain. Hollyoaks CH4 T.V series, eps 5,Prison Guard. : Lime studios. Feature Film/Movie, Comedy War Film, "The Eagles Nest" : Played a German Soilder. ( Speaking Part) IMDB credited. "EARTH " Short Film/movie. IMDB credited. : Sci/fi Film. CH 4 Series, "Cucumber, eps 2 : Man in bar, filmed on location in Manchester. Hollyoaks Ch4. TV series, Eps 3 : Prison guard. Romeo & Juliet. : Music video. Spanish TV & world wide. Coronation St, I.T.V Studios. : T.V Series. Eps 1,played pub regular. Film/ movie, Your a dead ringer too. : Undercover detective, (speaking part) IMDB credited. 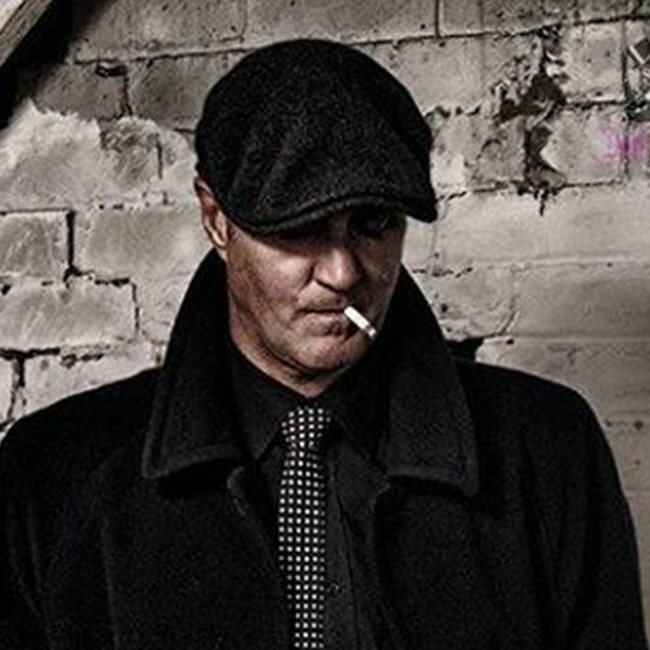 Feature/Film "Playing With Fire 2" : Gangster/mafia/trilogy Speaking Role IMDB Credited. Film/ "ROCK" With Michelle Collins, : Supporting role. Gambler. I.T.V / T,V movie / Film, : true drama, "CILLA" Suppoorting Actor, Played a New York doorman. Commercial for "Man Utd," Filmed at Old Trafford. : Chevrolet , Commercial , to be viewed in U.S.A & China. BBC Drama "The Driver" : Speaking part. Supporting/Actor. VoiceOver for the feature film, 27memory lane. : IMDB credited, Manchester studio. Short film/movie speaking part, : "No way out" IMDB Credited. Feature Film/movie "Playing with Fire" : Speaking role, IMDB Credited. Emmerdale, I.T.V Series! : Supporting/actor. Club regular. Film/movie, "back 2 forward" playing a detective, : Actor IMDB credited, speaking role. I,T.V Drama "Prey" : Supporting/actor playing a "detective"
I,T.V series Emmerdale , : Filmed at I.T.V. Studios Leeds. Lap dancing punter. T.V series. : Paranormal intent. BBC TV Series Antique Roadshow , : Playing myself, filmed on location in Burnley. Sony music video, playing a policeman, filmed in Leeds Yorkshire. Movie/film 27 memory lane. : "Speaking role " playing Herb pennyworth, , IMDB credit. Movie/Film "suicide is easy" supporting actor, : IMDB credited. Film/movie short/Philadelphia : Actor/speaking role. IMDB Credited. Movie/film" "candyfloss" : Played Tony, speaking role IMDB credited. Film/TV movie Qjacker, : Supporting/actor, IMDB Credited. Film/Commercial advert. : Supporting actor. Actor/model nation wide campaign. : Actor/model poster campaign. Movie/film, "the caravan" : Supporting/actor IMDB credited. Modeling shoot, : Modeling, wedding suits Manchester. Movie/film Called vroom supporting actor. IMDB : Various walk on parts, also played a " speaking role " as a boxer's trainer. Feature Film / Movie , The lost German, filmed in and around Lancashire : Playing a farm boy, the movie/ Film was never released. BBC drama, T.V series Juliet Bravo. : Played a gambler. BBC drama, Juliet bravo T,V series/ drama. : Regular extra, played a prisoner. I am a professenal & full time ACTOR , MODEL, & AUTHOR , " I have appeared in several T.V shows, and Appeared in a few films,in which i was IMDB credited, ( speaking parts) have worked with some top leading actors, Clive Owen, jim broadbent, diana quick, David thewlis, David morrissy , John SIMM, Sheridan smith, also done some commercials,I'm interested in cinema sport reading.i played semi professional football. I love two keep fit, I'm a very social person, and love mixing and chatting. I am 6'1 and of athletic build. I have also appeared in T.V series Peaky blinders playing a gangster. Porridge. full series all six episodes , playing a prison officer. Are you being served, Coronation St & Emmerdale Hollyoaks Spaeking roles, as a supporting actor.& also appeared in BBC & I,T.V dramas, also short listed for various Films & commercials, also just finished a film "27 memory lane & a film called candyfloss, as a supporting actor,I had a speaking roles & was IMDB credited,.I have also done music videos and nationwide poster shoots.I have also done commercials,I am very interested in all aspects of film making "British film industry, I am a very confident out going person with a fun outlook on life, I live in the Rossendale valley which is 20 minutes away from Manchester city centre, and most motorways. I am very reliable, punctual & dedicated. Done a little bit when younger, but not much. Just finished a poster shoot,"for fixers"which hopefully will go nationwide, Also done some Modeling in Manchester, for wedding suits,but would value more experience of model work. 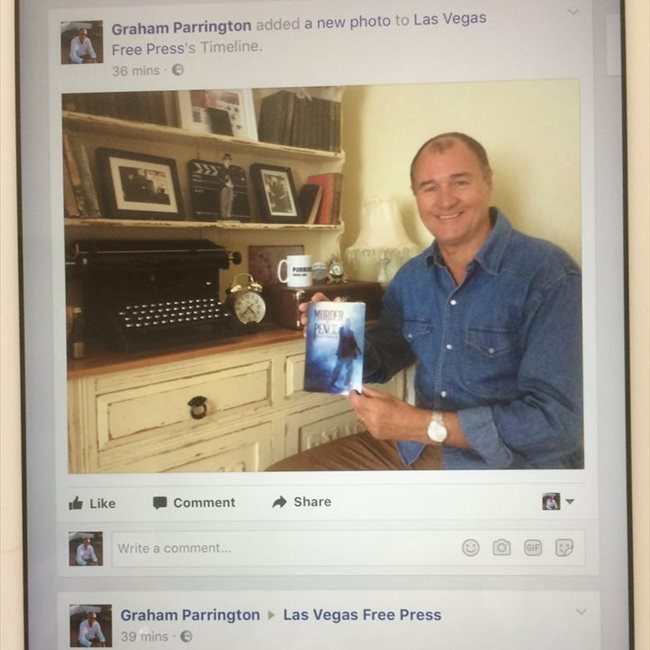 Many thanks Graham Parrington.